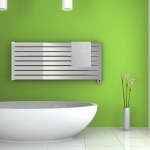 While there are a lot of different options available when it comes time to buy a towel warmer, the overwhelming majority of folks out there choose hydronic options for a bunch of reasons. Yes, hydronic towel warmers are going to be a little bit more expensive to purchase and to have installed. But when you decide to go in this direction you’re going to be taking advantage of some of the best towel warmers money can buy. 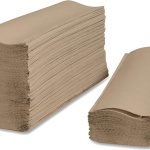 If you want to find out a little bit more about all of the big benefits that hydronic towel warmers provide, check out the information we have for you below. 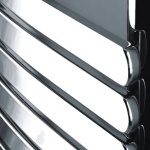 Of all the different towel warmer solutions out there, hydronic towel warmers are easily the most consistent. 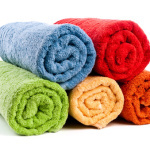 You are going to find that these towel warmers are able to radiantly heat your entire unit without having to consume a lot of energy – but that they are also going to be able to dry and warm a larger amount of towels at the same time as well. You’ll want to have the installation of these warmers taken care of by a professional plumber for the best results, but the finished product is going to be marvelous. Another big benefit that you are going to enjoy when you go in this direction is increased reliability. Hydronic towel warmers are a lot more reliable than electric towel warmers for a variety of different reasons. For starters, electric towel warmers run off of electricity – and if your electrical system isn’t quite as efficient as it could be coming your towel warmers are really going to suffer. Not only that, but your power supply could go down at any point in time, and if that happens, you aren’t going to be able to use your towel warmers at all. 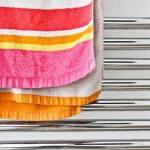 Combine that with the fact that these towel warmers can pretty easily short circuit or overload, and you’re looking at a world of headache and hassle most people would rather not have to deal with. With hydronic towel warmers, that’s never going to be a problem. Thanks to the hot water that is pumped through your entire house, hydronic towel warmers are going to both heat up the towel warmer system a lot faster and then retain that same level of hot water for longer blocks of time. Electric warmers are going to operate the same way that electric stoves do. They are going to radiate heat in waves to try and maintain the right temperature, but you are going to go through Hot and cold cycles. Hydronic towel warmers are never going to force you to deal with this hassle and headache. Instead, you simply have to decide just how warm you want your towel warmer, and then you “set it and forget it”. Electricity is by its very nature pretty efficient, but the engineering that goes into these electrical towel warmers may or may not be the most efficient things on the block. This means that you are going to deal with all kinds of bottlenecks, and those bottlenecks are going to really cut down on the efficiency of your towel warmer. In turn, that means you are going to consume a lot more energy than you would have otherwise – really jacking up your monthly energy bills along the way. With a hydronic heater, however, that just isn’t going to be a problem. Once the hot water starts flowing heavy hydronic technology takes over, and you don’t have any deficiencies that you have to worry about. When you decide to move forward with the best hydronic towel warmers available, you are going to be able to really improve the amount of capacity you get out of this technology. 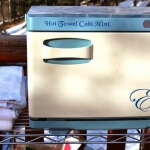 Electric towel warmers are rather limited in the amount of towels that they are able to warm or dry at any one particular point in time. On the other hand, hydronic towel warmers do not have that kind of capacity limit. 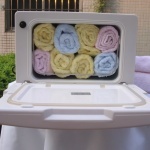 You are most likely going to be able to pretty easily handle four or five towels drying at the exact same time – and will definitely be able to warm all of your blankets and bed clothes, dry off all of your outerwear and jackets, and even keep your small sized bedrooms nice and toasty when you go in this direction. It is critically important that you choose a hydronic towel warmer system that matches your bathroom aesthetic or gives you the kind of look that you are after. 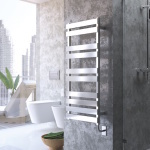 There are a lot of different styles of towel warmer available on the market right now, but not all of them are going to contribute positively to the final design choices you’ve made in your bathroom. 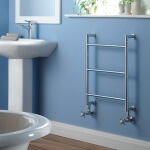 Hydronic towel warmers are usually very simple, very straightforward, and elegantly designed. This means that they are going to give you the most bang for your buck when it comes to improving the look and feel of your bathroom. You really can’t go wrong when you decide to go in this direction! Of course, as we mentioned above, if you are bathroom is on the smaller side of things you’re going to be able to use your hydronic towel warmer as a traditional radiator to keep things nice and toasty. Because the technology used in traditional radiators and hydronic water heaters is basically identical, you really have nothing to worry about. The system is going to work exactly as you would imagine it to, and because you are going to be using the hot water that is running throughout your home, you aren’t going to have to worry about any dramatically higher energy or water bills, neither. Obviously, you can heat big sized bathrooms when you go with a hydronic towel warmer – but smaller sized bathrooms and especially guest bathrooms should be warmed with no difficulty by this technology. All things considered, you would have to be at least a little bit crazy not to invest in a hydronic towel warmer if you’re looking to add one of these amenities to your bathroom. 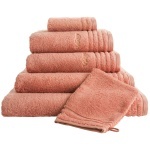 They offer a lot of significant benefits that you just won’t find with other towel warmer options. Definitely give them your consideration, and research your choices thoroughly before you pull the trigger on a purchase.